I was drawn in by an intriguing title, a beautiful cover, and the promise of a dark tale set in a cold country. Then I was captured by a striking image. On the coast of Iceland in November 1686 a a tremor cracked the ice and a body floated to the surface of the sea. One arm was raised and its bone-white fingers waved, as if it was alive. A group of villagers gathered to watch and talk, but there was one man among them who remained silent; because he knew the who the person under under the ice had been and he knew how that person had come to be there …. Some months earlier, a young woman named Rósa was living in a small, impoverished community with her widowed mother, Sigridúr. She knew that her mother was growing frail and would not survive the winter if she could not find more money to buy food and fuel. She had received an offer of marriage from Jón, the wealthy leader of a settlement some distance away. He promised to look after her mother and the local community; and so, though she didn’t want to leave her mother, her home and Páll – her childhood sweetheart who she had always thought she would wed – she knew that she had to accept the proposal. When she travelled to her new home in Stykkishólmur with her new husband, Rósa was concerned that her husband was taciturn, that he had them sleep in the open rather than seek lodgings, and that when they did meet other people he gave a false name. She hoped that things would be better when she was settled in her new home, but her husband made it clear that she was to be subservient and remain at the their croft to keep house and leave only at his bidding. He told her that he didn’t want his wife mixing with the people in the village; and when she approached her neighbours she found that they were reluctant to speak to her, that there was a mystery surrounding the death of the death of Jón’s first wife, and that they would say to her was that she should obey her husband. Just one woman, Katrin, tried to do a little more to help her. Rósa couldn’t help being fearful of her new husband, and of his apprentice, Pétur. She tried to please Jón, and sometimes she succeeded, but she struggled to cope with staying in their croft alone, with little to occupy her time. She loved reading and writing, she loved the old sagas, but her mother had warned her that her husband would not approve of any of that, and so she wrote only a little and hid her writing very carefully. She wondered what was in the loft space he insisted must be kept locked at all time, about what made the floorboards creak at night when her husband was away and she was in her bed alone, and about what had really had happened to the wife who came before her …. Rósa was a wonderfully engaging character and I really felt that I was living through this story with her. I understood her feelings, and I appreciated how carefully she walked the line as she tried to please her husband and to establish a life for herself. The storytelling kept me close to her, and while it moved slowly at times I realised that it had to, to catch the reality of Rósa’s situation. The writing was dark and lovely, and it caught the time, the place and the atmosphere wonderfully well. My first reservation was that the time and place didn’t seem that specific. 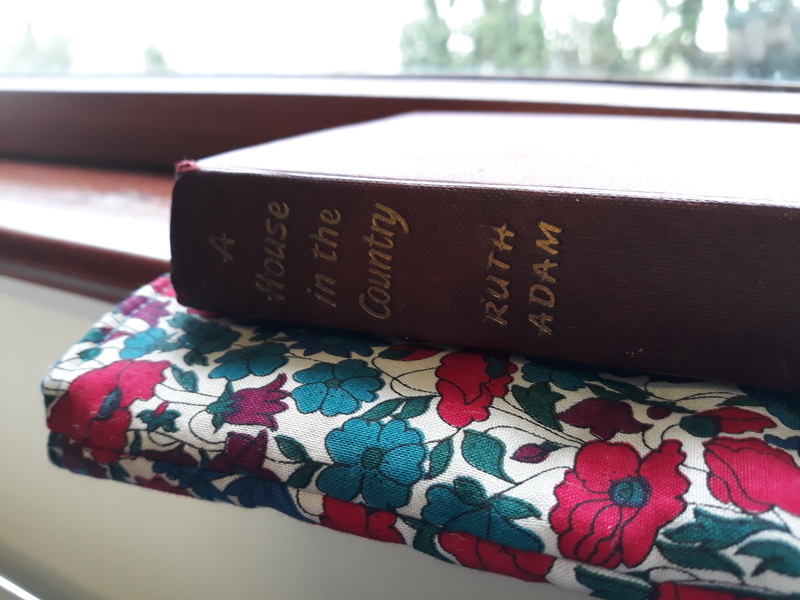 The setting was beautifully realised, the landscape had a significant part to play in the story; but I couldn’t help thinking that the story might have been set in any isolated community in a cold country, at a point in history where there were tensions between old and new traditions. My second reservation was that the structure didn’t work as well as it should. At first the story was told purely from Rósa’s point of view, but some way into the book another perspective was added into the mix. I completely understood the need for that second voice, it enriched the story but I wish it had been introduced a little earlier and that the transitions had been done with a little more finesse. Luckily, there was much more that I loved. I thought I might be a retelling of a traditional story, and I might have been in the beginning; but in time that story was subverted quite beautifully, and I found that the truth of this story and its characters were not at all as I had expected. I was caught up in the story from the beginning but in the later stages, when it reached the time when the body emerged from the icy sea and the consequences of that played out, I realised how real Rósa, the people around her and the world that they lived in had become to me. This book, with its secrets and its silences, worked so well in this dark, cold winter. I loved the first two books of the Lymond Chronicles, but when I began to read this book I couldn’t help thinking that those books were laying foundations and that this book would be where she really hit her stride. It was wonderful to be back in Scotland with familiar characters from the first book who I had rather missed in the second. The opening sequence moved from Will Scott’s wedding to a skirmish with English border raiders and then back to the wedding party again. It and it was vibrant, it was colourful and it was a joy to read. That set the scene perfectly. In the first part of the book, Lymond was drawn into the cause of the Knights of Malta, as they struggled to defend their island home from the Turks. There was intrigue, because it was clear that there were more than the stated reasons the invitation extended to Lymond, and for his accepting that invitation. This early part of the story set in Malta and Tripoli, evoked those places wonderfully well. It was perfectly executed, it was immaculately written; there were some wonderful moments, there were some significant plot developments; and yet it was only setting the stage for events that would unfold back in Scotland. Lymond was charged with creating a new military force for Scotland, its objective to break the cycle of clan warfare so that all of Scotland’s forces could be set against the English. Among the company is a group of refugee Knights of Malta, led by Sir Graham Malett, known as Gabriel, who is set on creating a religious force and making Lymond part of that force. That’s as much as I can say about specifics of the plot; because there is such clever and effective sleight of hand, because my understanding of events shifted, and because if you have read this book you will know and if you have you should read and you shouldn’t know too much before you do. The depth and the complexity of the characterisation is extraordinary; and a cast populated by fictional characters and historical figures lived and breathed. I have come to love many of them – Janet Beaton and Kate Somerville are particular favourites – and the death of one early in the story made me realise how very real this world and the people who moved through it have become to me. There would be other deaths and some of them broke my heart. Most were dictated by the real history that is missed so effectively with fiction, and others I understood served the unfolding plot. I reacted more emotionally to this book than others; and fortunately there were scenes to inspire laughter, anger and joy as well as grief. Two new characters – a man and a woman – became central to the story. They were both quite unlike anyone else in the story, they were psychologically complicated and interesting, and they brought much colour and drama. The success or failure of this book though, rested firmly on the shoulders of its central character. I am still drawn right in with his charisma, his manifold talents, and the evolution of his character and his story. There were times when he seemed to have matured, but there were times when he seemed childishly, foolishly reckless. I would come to understand his reasons, that there were times when he had to position himself and play a part, but there was something there that came from character rather than pure necessity. Certain things within the Crawford family that I had observed before were emphasised in this book, and I am very curious to find out more. There were not as many set pieces as I expected in this book, but I didn’t miss them because there was so much that was rooted in character and history, and because I saw that much of what had happened before was building the story arc that would grow through this book. I loved one scene that I haven’t seen mentioned much; an extended scene that had echoes of something the happened at the very beginning of the first book. The finale was a tour de force, an extended set piece rich with colour, drama and emotion that set things up perfectly for the next book and the books to come after that. I love that the thee books in this series have been distinctive but they have also been worked together to reveal different aspects of a character and to move his story forward. I know that I will come back to them again and see things that I missed reading them for the first time, but now I have to get back to ‘Pawn in Frankincense – the fourth book – and find out what happens next. So that was January …. …. 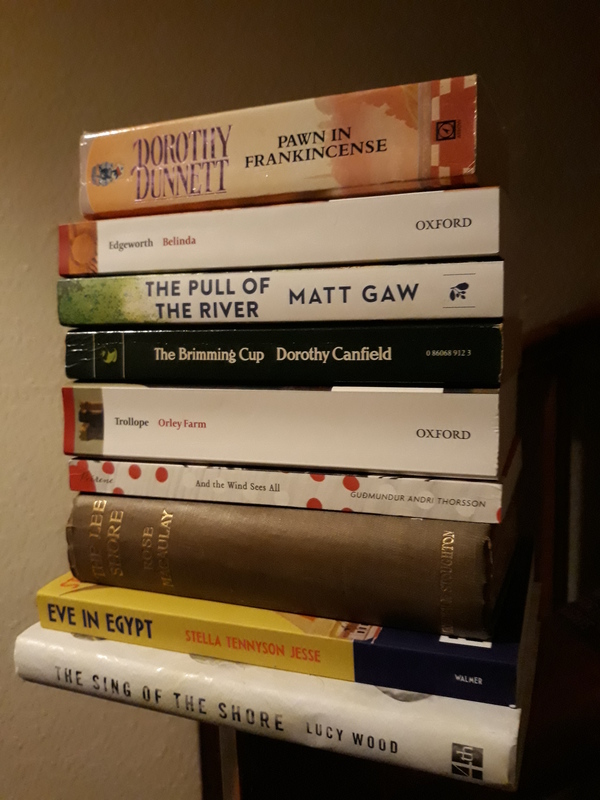 it was going to be the month when I got back to doing a lot more reading and writing about books, and I succeeded on one front but not on the other. I read more read more this month than I have in a long time, partly because I kept my resolution to drop some minor interests that had been taking up too much time, partly because I had a week when I was too poorly to go to work but well enough to curl up in an armchair with a book, but mainly because I looked more closely at my own books and thought about what I wanted to read and not what I felt I ought to read. I’ve not written much because first I was curled up in an armchair without the energy to sit up, think and type, and for much of the rest of the month I’ve been playing catch-up and wanting to curl up with a book or a piece of knitting and some music rather than firing up the computer. It’s not that I don’t want to write – I do, and I have lots of things of part written posts and other things I want to write about – but days have been running out without me finding the time, and suddenly the month is over. February will be different – I think I’m back on an even keel now. This is the book I didn’t quite finish before the month ended, because it is much too good to rush. And these are the books that I did finish reading last month. Some of them I have written about I will write a little more about in the weeks ahead, and some will just be mentioned here. 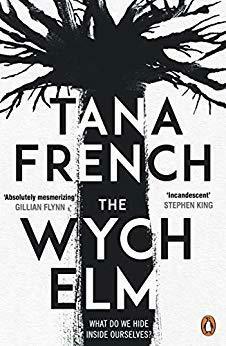 ‘The Wych Elm’ by Tana French is a standalone, and not part of the Dublin Murder Squad series. The crime story was intriguing, but the exploration of what happens when a charmed life is derailed and of coming to terms with the past and with new knowledge about that past is the greater story. I missed the perspective that came from a detective pursuing a case in her other books, I don’t think its her best work, but it was an interesting change in direction, and Tana French a little below par is still top drawer crime writing. I think that ‘The Call‘ by Edith Ayrton Zangwill might be the best book that I read this month. It is a story of a young woman scientist whose life in changed by Suffragettes and the Great War; wonderfully told by an author who understood that lives and relationships can have many different aspects and that women can be both modern and traditional at the same time. It was lovely to find a new Persephone in the library, but I really don’t want to give it back. Rebecca West didn’t allow ‘Sunflower’ to be published in her own lifetime because, though the characters are quite different, it draws heavily on her own experiences as her relationship with H G Wells ended and a new relationship with Lord Beaverbrook was beginning. The prose was dense, but it was lovely too and there was a great deal for a careful reader to appreciate. ‘The Skylarks’ War’ by Hilary McKay is a lovely children’s book, that pitches its story of children who build their own family before and during the Great War quite perfectly; and at the centre of the story is the aptly named Clarry, who belongs in the great pantheon of heroines of literature for younger readers. I picked up a copy of ‘The Spinning Wheel’ by Angela Du Maurier in the Morrab Library . It had no dust jacket, I knew nothing about what was inside simply on the basis of the author’s name. It was an entertaining saga and I loved the heroine, but it not particularly well executed and it stretched credibility in some places – as seems to be the way with Angela’s books. ‘Consequences’ by E M Delafield is the heartfelt and heartbreaking story of a young woman who wasn’t equipped for the life she was expected to lead and couldn’t find another path. Another excellent Persephone book! ‘The Glass Woman’ by Caroline Lea, set in 17th century, was a dark story perfect for cold winter evenings. I thought that it might be a retelling of an old story, but it proved to be an interesting variation with a very engaging heroine. ‘The Flower Girls’ by Alice Clark-Platts is a character driven crime story about two sisters, one in prison, and one who was below the age of criminal responsibility and assumed to have been lead by her evil sibling. The story is sensitively handled, different perspectives are considered and it did most of what it did very well, but at the moment I don’t have a lot to say about it. I read ‘Harlequin House’ to mark Margery Sharp’s birthday. It’s not the book to start with if you haven’t read her before, but if you have and you like her style I would day that it is Margery in a minor key, that it is full of Margery-isms, and that it’s definitely worth looking out for a copy. I read something somewhere about Wilkie Collins, and it made me want to re-read ‘The Dead Secret’ – the novel that he set in Cornwall. It’s the book of a developing writer – I could guess what the secret was but that didn’t stop me enjoying the telling of the tale and it was lovely to spot ideas he would develop more in his most famous novels. I picked up ‘The Ruin’ by Dervla McTiernan, which I think is the first book in series in a new series of crime novels. The story, the psychology and the issues that the story explored were interesting, but there was too much for one book and so it felt rather superficial and disjointed. 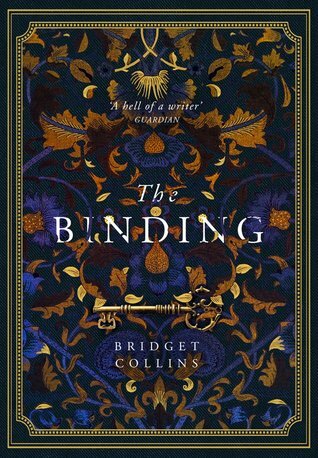 ‘The Binding’ by Bridget Collins was a beautiful book, I loved the concept and the issues that explored, but I felt that the characterisation and the storytelling was rather lacking. It was probably written for a different kind of reader, and I do understand why other readers would love it. 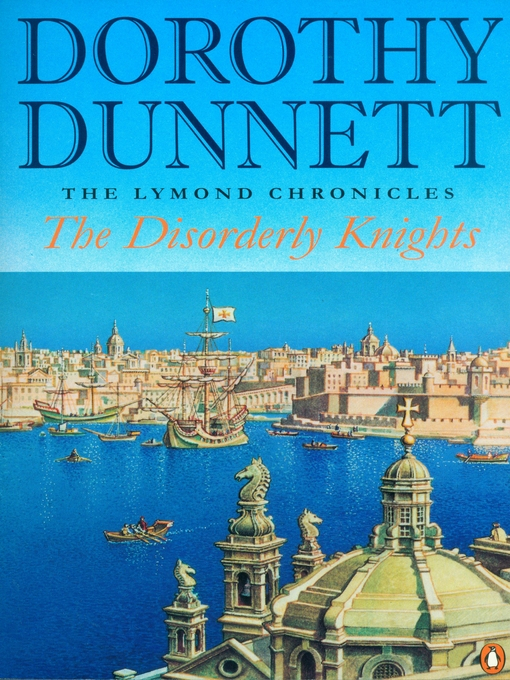 I have loved Dorothy Dunnett’s from the start but the third of the six books – ‘The Disorderly Knights’ – set in Malta and Scotland – made me realise quite how involved with the characters I was, it made me realise how carefully things had been set up in the first two books, it gave me more idea of where the story might be headed, and it left me eager to move straight on to the next book. I’m calling that a very good month’s reading! This is the pile of books that I have in mind for next month. I won’t read them all – I have a couple of library books I must get to, I have some new titles on my Kindle, other books may call, and there aren’t as many reading hours as I’d like in the day – but I wanted to assemble a pile of books that I could turn to whenever I wanted something new or something different to read. ‘Pawn in Frankincense’ by Dorothy Dunnett – because I have to know what happens next! ‘Belinda’ by Maria Edgworth – because I haven’t read anything from the period for such a long time and there’s a guided read in the LibraryThing Virago group. ‘The Pull of the River’ by Matt Gaw – because I love rivers almost as much as I love the sea. ‘The Brimming Cup’ by Dorothy Canfield – because it picks up the story of Neale and Marise, who I met in the book I read for Dorothy Canfield Fisher Day last February. ‘Orley Park’ by Anthony Trollope – because Cirtnecce mentioned reading this in February and it was on my pile of unread Trollopes. ‘And the Wind Sees All’ by Guđmundur Andri Thorsson – because I want to read at least one translation a month, and because I needed a small book to balance out all of the hefty tomes I was picking up. ‘The Lee Shore’ by Rose Macaulay – because her name has been in the air lately and I wanted to pick up another book I don’t know too much about but picked up because I have faith in the author. ‘The Sing of the Shore’ by Lucy Wood – because she understands the heart and soul of Cornwall, and she is so good at short stories. I’d planned to write my January in knitting and music too, but I think I’ve been writing for long enough tonight. I’ll come back to them …. I was drawn to this book by its intriguing title, by its beautiful cover, and by the promise of a story in which books were fundamental. They were but they were books quite unlike any that I had ever read. They were books that held dark secrets and unhappy memories; drawn out from peoples minds and bound into the elegant leather-bound volumes by Bookbinders, so that memories were erased, secrets were concealed and the troublesome pasts were securely locked away. The story was set in a place somewhere like the British Isles, a hundred or so years ago. Young Emmett Farmer had always worked on his family’s farm, but he was summoned to begin an apprenticeship as a Bookbinder. He didn’t want to go, he didn’t want to take up an occupation his friends and neighbours viewed with fear and suspicion, but he had been told that he had a vocation and so he had no choice. Emmett learned his craft slowly, under the watchful eye of an old woman. She told him that he was following a sacred calling, and she stored rows upon rows of books that she had bound over the years over the years in a secure vault below her workshop. But Emmett would find that there were Bookbinders who were much less scrupulous, who would trade in books and exploit their contents. Then, just as he had begun to settle into his new life and occupation, he made an extraordinary discovery: there was a book in the vault that had has his name on it …. The concept was intriguing, and the story that played out in three acts explored the questions and issues that spun around that concept wonderfully well. What might be the consequences of not remembering, of cutting parts of a life away? Was it fair that the wealthy and powerful were able to buy books and learn things about other people that they didn’t know themselves? Was there a danger that people could be pushed towards Bookbinders for the wrong reasons, for the benefit of others not themselves? What would happen if people who had had all of their memories of each other bound into books met again? So much could go wrong ….. The story speaks profoundly of love and loss, and it speaks quite naturally of issues that are very relevant today – the class divide, homophobia, the abuse of power, sexism …. I wish that I had liked it more than I did. I couldn’t warm to the protagonists, maybe because their backgrounds, their lives and relationships, weren’t fully drawn and I only learned what was necessary to move the story that was being told forward. That story was well told, but it was predictable in places and there were too many times when I knew what was going to happen and wished things would move forward more quickly. I think that I might have been the wrong reader for this book; and that my expectations of what it would be were wrong and that the magic I hoped to find was of a different kind. But I also think that a bit more editing and an opening out of the story would have made this a much better book. I think it is fair to say that this book is not Margery Sharp at the very top of her game, but it does have its own distinctive charms. It opens in Dortmouth Bay, a seaside resort town with a rather unlikely hero. Mr Partridge is an elderly widower, who has abandoned his duties to stroll along the seafront, hoping to find something interesting happening. ‘The walk along their top was bounded on one side by a row of equally white palings, on the other by a stretch of perfectly-kept lawn adorned with moon- or star-shaped flower-beds. The beds made patterns on the lawn, the flowers made patterns in the beds, geometry and horticulture clasped hands. Upon all these things the sun, as Mr. Partridge sallied forth on the second afternoon in July, shone brightly down. (It had to: Dormouth Bay boasted a higher average of sunshine than any other town on the south coast.) The sea lapped gently in a neat blue crescent. A passing schoolchild stopped to pick up a paper bag and deposit it in a box marked LITTER. Every object in sight conformed unhesitatingly to either natural or municipal orders. Only Mr. Partridge was lawless. His very presence on those lawns, at that hour, was a scandal. Already three infuriated subscribers had clamoured in vain at the door of his twopenny Library in Cliff Street; already two widows and a maid were facing the prospect of a lonely evening unsolaced by literature. One of them, who had just discovered the works of Miss E. M. Dell, and who had hastened back for more, rattled the knob with such violence that the BACK SHORTLY notice fell to the ground. This would have annoyed Mr. Partridge had he known, for he considered the phrase “Back shortly” to be the commercial equivalent of the social “Not at home” – something to be accepted without question, and with a good grace. In this, as in so much else, he was of course wrong. It was part of his lawlessness. He did not look lawless. In height he was five foot four, in shape oval. His attire was inconspicuous – pepper-and-salt trousers, black alpaca jacket, panama hat – except about the feet. 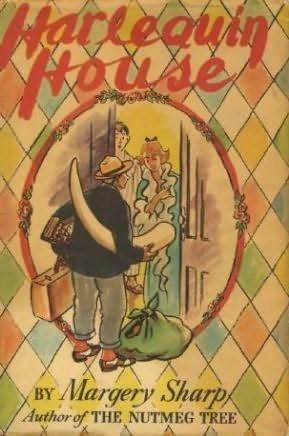 Mr. Partridge wore brown-and-white shoes, the white brilliantly pure, the brown chocolate-dark, and scarlet socks; and these added a peculiar touch of frivolity to his whole appearance. They were the single outward sign that the scenery of Dormouth Bay had for once fallen down on its job. I was to grow very fond of this Mr. Partridge, and I miss him and wonder what he might be doing now that the story is over. His progress led him to an elderly maiden lady, and she introduces him her niece, the lovely Lisbeth Campion, who she has brought to the seaside to keep her safe from the temptations and dangers of London while her new fiancé, a military man, is carrying out a terribly important secret assignment in the Middle East. He was very taken with Lisbeth, who was beautiful and charming, and who dealt with any number of hopeful young men who fell at her feet kindly and firmly. Later that day, Mr. Partridge sees Lisbeth driving off with one of her admirers. ‘Mr. Partridge’s first thought was purely instinctive. Because he acted on it, it was to have far-reaching effect, it was to turn the course of several lives; but it was based neither on reason nor even on common sense. “Can’t have that,” thought Mr. Partridge. For all he knew Miss Campion and Mr. Lambert were simply going for a run along the cliff. If he had stopped to consider, some such innocent explanation would at once have presented itself. But he did not stop. The car had almost drawn clear. Its rumble, open to accommodate an up-ended suitcase, was already all of it that Mr. Partridge could see. He had no time to consider, he had time only to jump forward and grip and scramble over the smooth side. He had certainly no time to settle himself. The car, leaping from first to second gear, did all the settling for him. In London – in Trafalgar Square, to be exact – Mr Partridge discovered that there was much more to Lisbeth than met the eye. She had a loyal heart, a quiet determination, and a wonderful ability to mislead and misdirect people without actually telling lies. She had come to London to meet her younger brother Ronny, who was as charming and attractive as his sister, and who she had been told by her aunts to forget. He was just out of prison after getting caught up in a cocaine-trafficking scandal, and his sister had decided to get him back on his feet again so that she could introduce him to her fiancé on his return. The trio set up house together at Harlequin House. Mr Partridge finds a job that is much more to his liking than that of small-town librarian, and Lisbeth finds a job that suits her just as well. The pair work together to find a useful occupation for Ronny, and to get him on a legal and independent footing, but it isn’t easy because Ronny is indolent and skilled at sliding through life on charm. Even the two of them – even the admirers that Lisbeth continues to attract – are susceptible. There are many twists and turns before a lovely finale, when Lisbeth’s fiance comes home rather sooner than he was expected. This book doesn’t have the sparkling wit of many of the authors’ better-known works, and it has less to say and less plot than those books, but it held me from start to finish. I loved and cared about the characters, I was very taken with its mixture of light and dark, and there are lovely Margery-isms scattered through the pages. Turns of phrase, details of character, wry observations, little plot details …. This is Margery Sharp in a minor key. Not the book to pick up if you haven’t read her before, but definitely a book to look out for if you like her style. This is a wonderfully old-fashioned story, very well – and rather wordily – told. Those are the words of Augustus Smith, the long-suffering son of a drunken London washerwoman. He would tell the story of the man who would become his mentor, and was quite unlike anyone he had ever met before or would ever meet again. That young man was sent to deliver Paragot’s laundry, with clear instructions that he was not to hand it over – and not to come home again – until he had extracted payment for the last three weeks. He was struck by a man unlike anyone he had ever met before. Paragot’s interest was piqued when Augustus pulled out the tattered copy of Milton’s Paradise Lost that he had found, mistaking it for the laundry book. He asked if the young man could cook herring. Augustus wasn’t at all sure that he could but he was hungry, he gave it a go, and he was delighted to find he could. That was the first step towards him being adopted and renamed by his hero. That was how the gloriously unconventional education of Asticot began. He would rise each morning to cook herring and then he would study under the tutelage of Paragot; in the afternoon he was sent out into the London streets with a mission that would be both educational and entertaining; and in the evening he would assist Paragot with his work in the kitchens of the Lotus Club. It was a wonderful life, but it didn’t last for long. Paragot had an argument with the new owner of the club, who wasn’t at all happy with the ramshackle way his business was being run. It ended with him smashing a violin over the man’s head, and after that he decided that he and Asticot should take to the road in the furtherance of his protegee’s education! The pair set off for France. A stray dog joined them along the way and they fell onto the company of two travelling entertainers, an old man and his granddaughter. The old man was frail, he died quite suddenly, and when Paragot realised that his granddaughter had nobody to turn to and nowhere to go he invited her to join his travelling party. She accepted happily, and he re-named her Blanquette de Veau. ‘So many of your wildly impulsive people repent them of their generosities as soon as the magnanimous fervour has cooled. The grandeur of Paragot lay in the fact that he never repented. He was fantastic, self-indulgent, wastrel, braggart, what you will; but he had an exaggerated notion of the value of every human soul save his own. The destiny of poor Blanquette was to him of infinitely more importance than that of the wayward genius that was Paragot. The pathos of his point of view had struck me, even as a child, when he discoursed on my prospects. Asticot knew a little of Paragot’s story, over time he would learn more, and the day would come when Paragot was given a second chance to claim the life – the destiny – that he thought that he had missed. 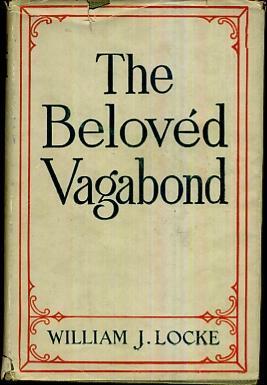 Could he step back into the life he had always dreamed of, or did the very different man he had become – The Belovéd Vagabond – have a different destiny? What did that mean -and what did the future hold – for his two protegees? Those questions are very well considered, Astico did a wonderful job of telling the story, and I really didn’t know quite what was going to happen until the very end. It was’t quite the ending I expected but it did tie everything up satisfactorily. I am so glad that I heard about this book, and I can warmly recommend the reading on Librivox. I have loved Tana French’s books for many different reasons. The books that preceded this one have been compelling contemporary police procedurals, with a wonderfully real Irish settings. They have been was a compelling character studies, written with real insight and understanding. They have been perceptive state of the nation novels, speaking profoundly about a particular time and place …. and they have been linked, but not quite in the way series are usually linked. Each book was centered around a member of the Dublin Murder Squad, who had usually appeared in an earlier book before becoming the protagonist of their own story. A story that would usually draw out their own story as well as the part they had to play in the investigation of a crime. That was a wonderfully effective way to both link books and allow then to stand alone; but this book breaks the chain. All of the familiar elements are there but the perspective is different. This time the character at the centre of the story has no connection to the police or law enforcement. Toby is a good-looking young man, he is bright and charming, and he comes from a comfortably off and closely-knit middle-class family. His passage though life had been smooth, and he had just survived a crisis at work that would have felled most others, when woke up to find burglars in his flat and was violently attacked. He was left with physical and psychological damage. 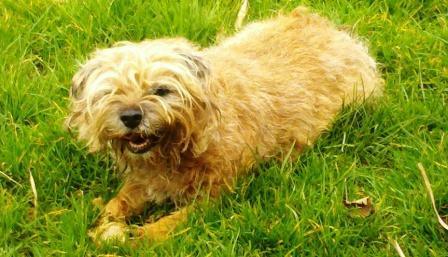 His recovery was slow, and so he retired to the family home to convalesce. His uncle – who was terminally ill – had always lived there and other family members – his parents, his aunts and uncles, and his cousins – congregated there for lunch every Sunday and passed though often. It was after Sunday lunch that the two young children of one of Toby’s cousins made a grisly discovery in the old wych elm at the bottom of the garden. That discovery led to a police investigation, and to the realisation that someone he knew had been murdered and that the evidence pointed to one or more of his family being involved. Toby began to question his memories of his family, of his past and of his own nature. He tried to work out what happened but he feared what he might learn …. I don’t want to say more than that about the plot, because I don’t want to spoil the story, and because it is difficult to pull things out and have them make sense on their own. The story moved slowly and inexorably, and the narrative voice was perfectly realised. I saw that Toby had strengths and weaknesses, and I could understood what made him the person that he was. But I had to ask questions about how reliable he was, whether he really couldn’t remember or whether he had chosen to forget, and just how damaged he really was. All of the characters around him, everything that happened, was utterly believable. The portrayal of someone who had to struggle for the first time in his life is so well done; and the drawing of a family living with a terminal illness is both acute and sensitive. The writing is clear, lucid and intelligent, and the conversations were so very well done that I could hear the voices in my head. It was strange not to come to know the detectives well, not to follow the case from their perspective, not to be able to link them to the Dublin Murder Squad. I understand why that wouldn’t have worked for this story, but I did miss the momentum and the depth that I have found in Tana French’s earlier books. Following a case with a detective was more rewarding than following one man’s story. I was always engaged but the story took a little too long to come together. When it did come together it was extraordinary. The crime story was intriguing, but the exploration of what happens when a charmed life is derailed and of coming to terms with the past and with new knowlege about that past is the greater story. This is a very good book, and if the earlier books hadn’t set my expectations so high, if I didn’t have comprisons to draw, I would be able to focus on the many things done so very well in this book and think much less about my relatively small concerns. I think that the change of perspective unsettled me’ and I think that I need to see where Tana French goes next to put this book into context ….